The Volo goes toe to toe with leading bags on the market, as shown in our road test off the roof of a speeding RV. 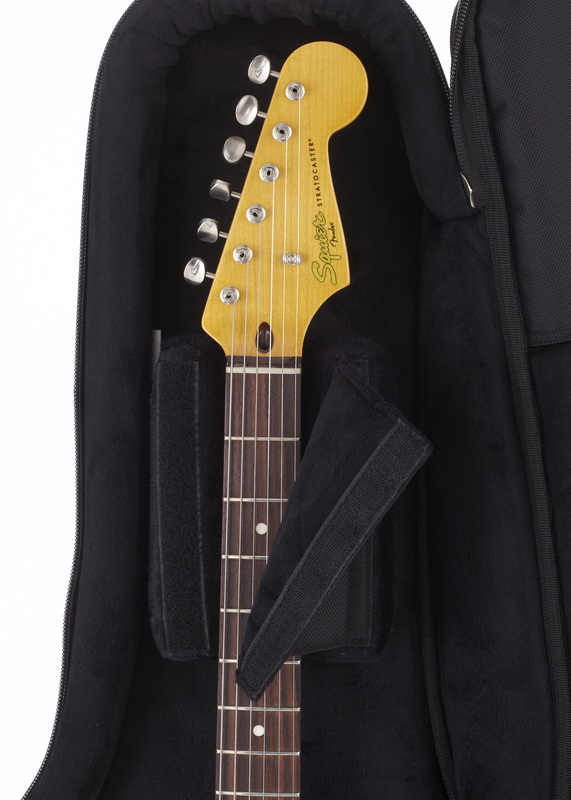 We put a Fender Stratocaster into the bag. Watch to see what happens! The Volo gig bag is currently on tour with these players: Vashon Johnson (Miley Cyrus), Booker King (Santana, Paul Simon), Zak Loy (Alpha Rev), and Wally Hustin (CCR, Dave Mason). I’ve done music for as long as I can remember; from lip syncing to Spice Girls as a kid to where I am today. My band Dead Heroine has started pre production for our sophomore album. I’m super excited about the direction this album is going. (Ok that was maybe swedlish so please feel free to edit the wording haha). It’s basically a spinoff on our first ep, Eleven, the number of awakening. This album is digging a little deeper on that same theme about waking up and realizing what’s really important in life. The musical direction is also much heavier. I can’t wait to show you all! There’s a lot you can learn in a classroom but I find that the most important lessons you learn out there in “the real world”. I have a music degree myself so I’m pro education but don’t forget to listen to your heart and gut! In today’s industry you can no longer just be a musician. You have to be a business (wo)man too. This is the hardest part for me in my career because I just love to play. Rock ready is the best gig bag I’ve ever used. I love how every little detail in its design fills a purpose, from the locking zippers, to the glow in the dark edges and not to mention all the compartments for documents, cables, keys, phone.. With the tote bag on I can fit literally everything I need for a gig (including 2 pedals) in my gig bag! Except for my amp of course. Crowdfunding is a way for individuals or companies to raise money by asking many individuals to contribute funds. Most crowdfunding takes places on the internet through Kickstarter or Indiegogo. Contributions start for as little $1 and go up from there. 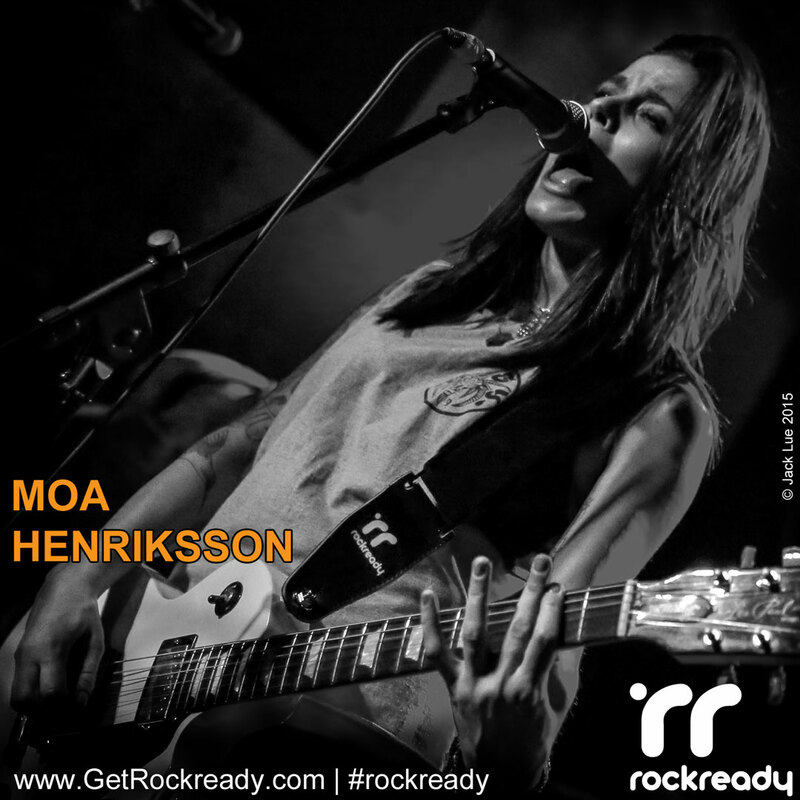 Why is Rockready crowdfunding the Volo gig bag? 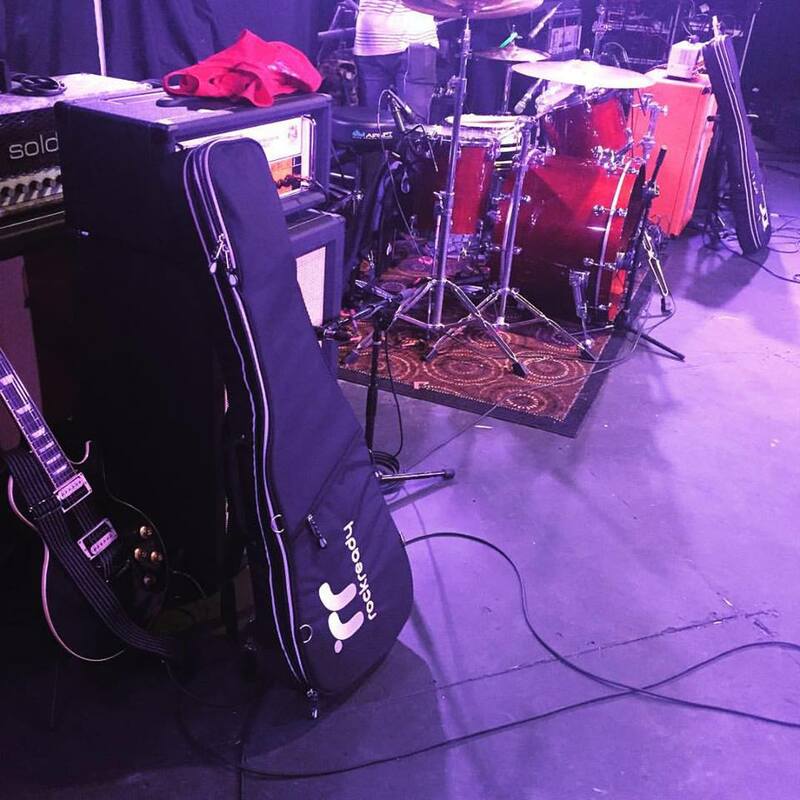 We want to bring our idea for the perfect gig bag to the market and connect with other guitar players that have a need for a better gig bag. What do you gain by contributing? You get a fantastic, one-time only price as low as $99 for a gig bag that will protect your guitar and serve you well for many years. After our crowdfunding concludes, the price of our gig bag rises to $159. So don’t miss out on this opportunity. If you haven’t checked out our campaign, click here to see it. We believe that the internet levels the field and gives small companies, like us, the opportunity to bring our ideas to the market place. Now, with crowdfunding, our customers have a chance to participate in the process. Your contributions tell us if we’re on track – if we’re meeting a need of yours – and have developed an idea that will be a viable product. We also look at Crowdfunding as a way to develop a community of people that share common interests : great gear with a social conscience. You may have already know that we’re giving 5% percent of the proceeds from our Crowdfunding to Little Kids Rock. When we reach our goal, Little Kids Rock can get 25 kids a music education for a whole year! This is part of our Rockready mission statement. Once the crowdfunding is complete we will continue to give back to the music community. We’re planning more guitar accessories and will continue to use crowdfunding to gauge interest, raise money, and give our Rockready supporters the first opportunities to participate and get the best deals on new gear. We look forward to your questions and comments. If you have any specific concerns post your comments here or email us. Don’t miss out on our 10 essential gig bag buying tips. We know there are many great options in gig bags these days. We also know that you want to get the most bang for your buck. That’s why we’ve put this Gig Bag Buyer’s Guide together. A gig bag purchase is essential to most guitar players, and a well-designed and well-made gig bag will protect your guitar for many years. With a careful eye to detail you’ll get a bag that will meet all your needs at the right price. So you got the call and you’re going to the coast to do the gig. Congratulations! Have you thought about how you’re going to get your guitar there? Traveling and especially flying with your guitar is always stressful. A successful trip with your guitar starts at home. We’ll run through some suggestions on how best to pack it and get you prepared for the security gate at the airport if you’re flying. First the good news. Since the beginning of 2015, the DOT has harmonized rules that require airlines to allow small instruments such as guitars or violins as carry-on bags in overhead storage or under seats. These rules further state musical instruments should be stored just like other carry-on bags, on a first-come, first-served basis. Nobody has to remove a bag to make room for a guitar, but once the guitar is in the overhead bin, its owner doesn’t have to move it for anyone else. So get to the airport on time, to the gate early, and board as early as you can. Pay for Priority Boarding to make sure there is space for your guitar in the overhead bins when you board. If there is no space available, you still may need to check it at the gate. There is always the fall back of asking if there is space in the crew’s luggage closet. The foolproof way is to buy an extra seat for your guitar. For larger instruments like tubas, double basses and even double gig bags for electric basses, this may be the safest option. Remember that if you’re flying you need to go through airport security. 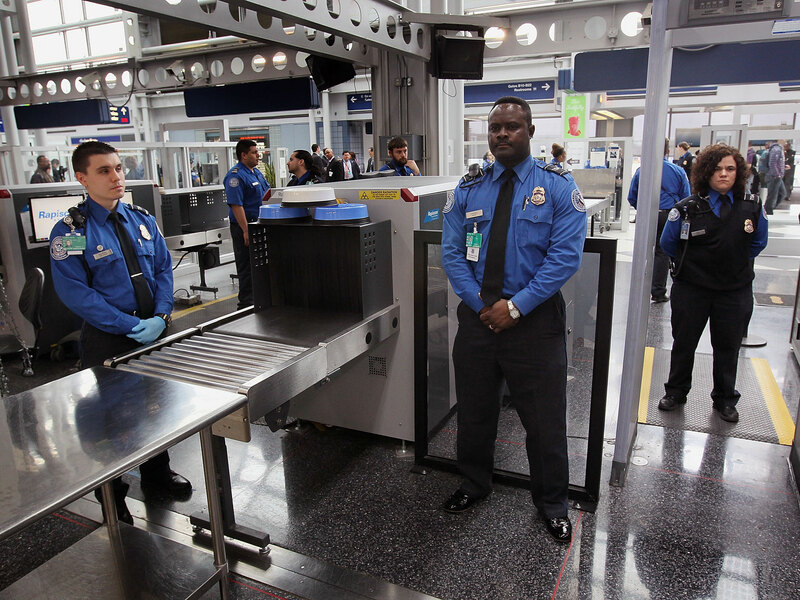 So check your gig bag for all things that may delay you passing through security. The obvious things to check for are bottles of liquid like polish and water, tools and other sharp implements, and of course anything else that you may carry in your gig bag that may not be legally welcome on board. A set or two of spare strings, a few picks, maybe a cable or two, and a tuner is all you really need to pack in your gig bag with your guitar. Anything you pack in the bag is just extra weight you’ll be carrying to and from the gate. Always to put as much as you can in your check-in bag if you are checking a bag. With the new flight rules in effect, a good quality gig bag should suffice. However, if there is not enough room on board and your guitar needs to be checked then you’ll want a gig bag with at least some ABS panels for extra protection to protect it in transit and on the belt. The advantages of a good gig bag are that they are light weight, easier to carry than a hard shell, very protective, plus have many pockets and other features that can better organize your stuff for gigs and rehearsals. Some features to look for in a gig bag that can come in handy in case you have to check it at the gate are high density foam padding, an ABS shell, neck support, a luggage tag, and stowaway shoulder straps. 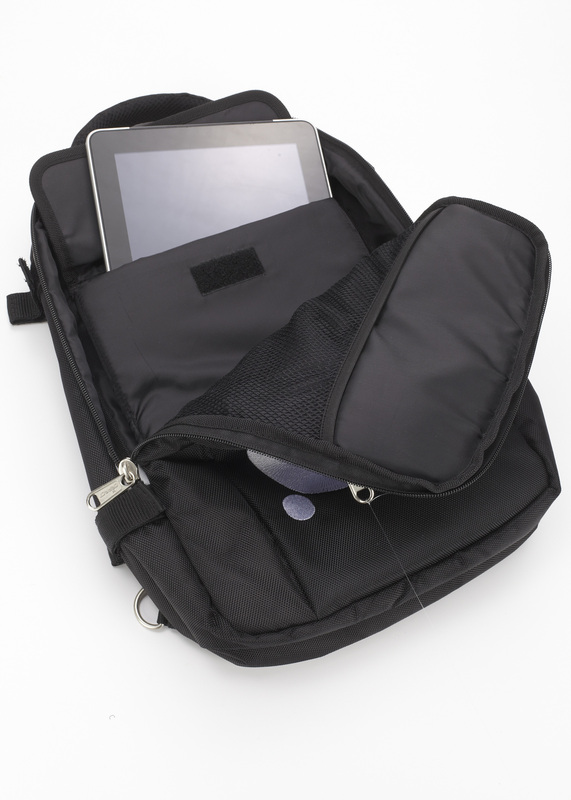 If you always check your iPad or tablet with your then a detachable bag can also come in handy. Another option is to use a flight case. A flight case will protect any instrument the best. These are usually custom fitted to your guitar so you should not have to worry about the guitar being damaged. The downside is the expense of the case, the extra fees of checking an over-sized item, and the weight of lugging it to, and from, the airport and into, and out, of vehicles. A third option is the hard shell case that came with your guitar. This is the middle ground. You’ll need to take a few precautions to make sure your guitar arrives safely. First, find some bubble wrap and wrap it around the headstock, neck, and anywhere else there seems to be a bit of room between the guitar and case. Then you want to make sure the guitar is not rattling around inside the case. Make sure the case closes well and tape the latches shut with packing tape. This will help prevent the latches from opening accidentally. And don’t forget to put your name, phone number and other contact details on the case. You’ll need to do a quick check of your guitar’s set-up on arrival. Often the temperature and humidity are much different at your destination, not to mention the different conditions on board the plane. These sudden changes in environment can wreak havoc on your guitar. The neck is especially vulnerable to these sudden changes. If you have an acoustic guitar and are checking it, you may want to consider using a guitar case humidifier as the conditions in the hold of an airplane are extremely dry. A little prevention goes a long way. Even when traveling on the ground, changes in temperature are something to consider. As a rule of thumb, if your guitar has been in the trunk of your car in the freezing cold for a couple of hours or more, open the gig bag when you get inside and let it warm to room temperature while you’re setting up. There’s nothing like putting on a cold guitar and then having to tune up after each song until the strings warm up. In very extreme cases the neck may need to be adjusted when traveling from one climate extreme to another. Find a good shop with reputable repair ship and they should be able to adjust the neck. If you follow these steps and prepare at home before you travel, rather than on the way to the airport, you’ll have some peace of mind so you can focus on playing instead of worrying about your guitar. We hope you enjoyed this article. Please comment. Rockready designed the Volo gig bag to be tour ready; it’s also the perfect solution for everyday gigs and rehearsals. The Volo gig bag protects your guitar and helps you organize all your gig and rehearsal items with intelligently designed form factor pockets. The Volo gig bag is rugged, durable, and comfortable. It comes equipped with a hard-wearing shell, impact resistant high-density padding, integrated ABS panels, and a neck support to protect against drops and falls. The design team added discreet and easy to reach pockets for your phone and keys and high quality locking zips. To make those long walks around town or to the gate more comfortable they added padded shoulder straps and a trekking style chest clip. And they know from experience that lots of your travels will be at night, so they’ve designed a very stylish reflective piping that adds assurance for night-time safety. There’s also the Mini Volo bag which detaches easily from Volo with four hook and loop attachment points. The padded shoulder strap adjusts so you can carry it over either shoulder. It features a padded pocket to carry a tablet so you don’t need to worry about scratching the screen. It’s also roomy enough to fit a micro pedal board. Carry all your essentials to the stage or around town in the Mini. 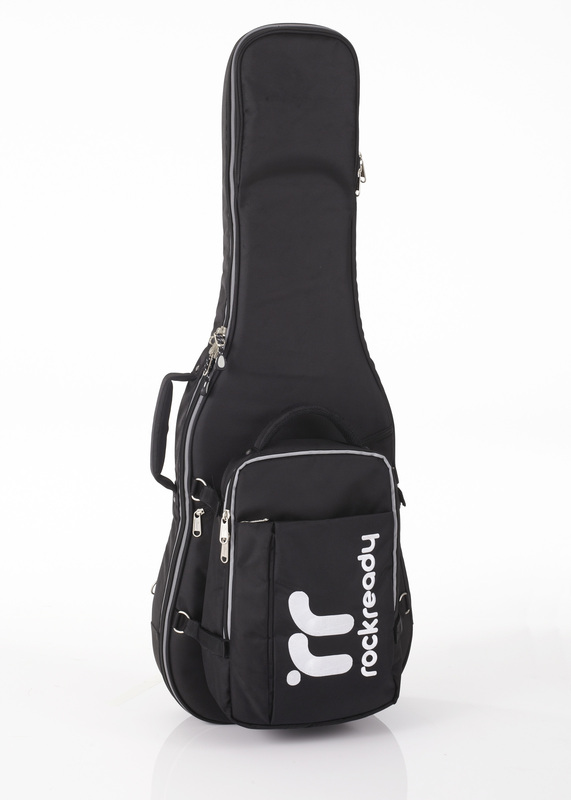 The Rockready Volo gig bag is available for guitar and bass. 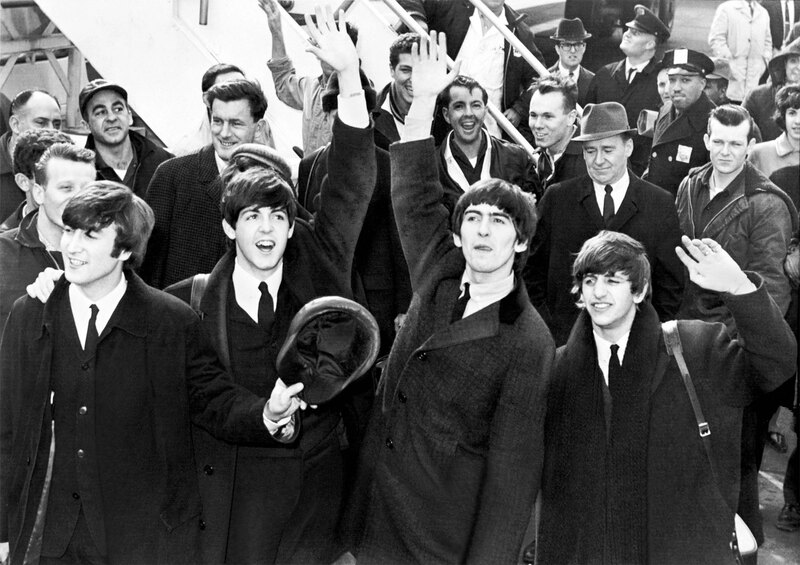 When Did Rock and Roll Lose the Roll?